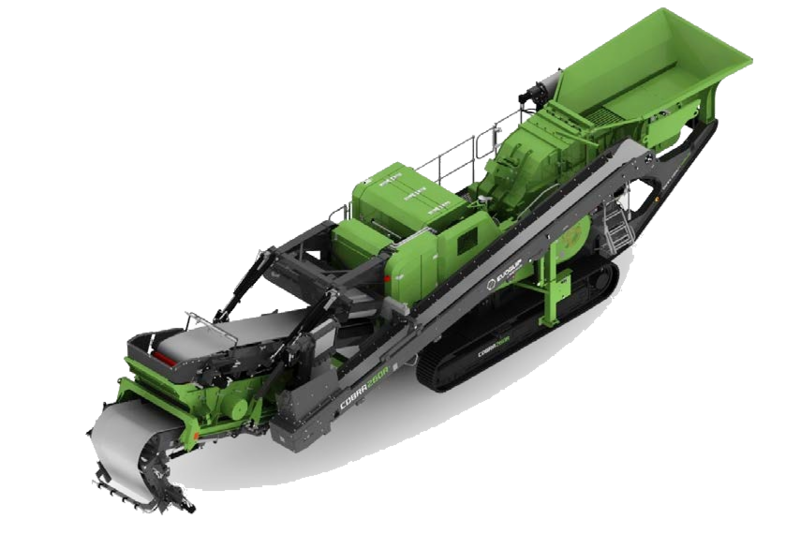 The Cobra 260R horizontal impact crusher with variable speed gives operators unprecedented levels of fuel efficiency and production in both recycling and quarrying applications. The machine features a 2.44m x 1.2m (8’ x 4’) single deck screen for sizing and recirculating oversize material back to the crushing chamber. The sizing screen can be quickly detached for applications that do not require resizing or recirculation of materials for further processing. The Cobra 260R features hydraulic folding of all conveyors providing rapid set-up times and easy point to point moves when operating on multiple sites.